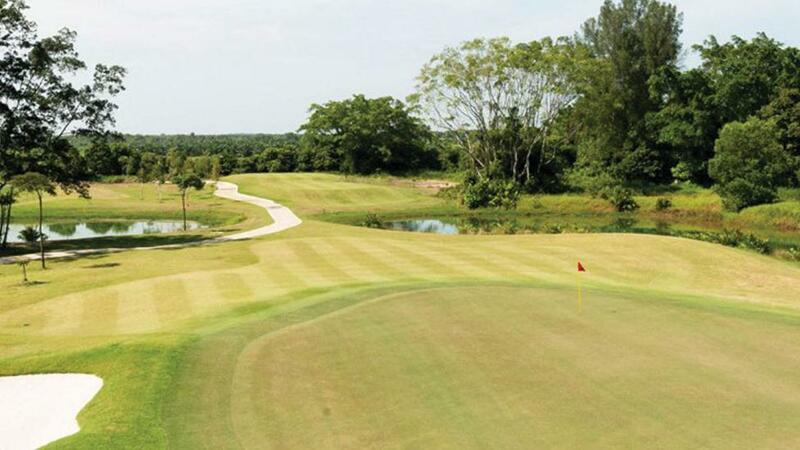 The 18-hole Amverton Cove course offers pleasure to champion and amateur golfers alike. Designed to bring out the best in every golfer, this challenging dream course has a very natural layout with a link feel. Each hole is designed and sculptured according to its natural setting with an individual feel and playing character. This course of championship calibre features strategically located sand hazards, ponds, lakes, mangrove forests and lush plantings amidst a picturesque landscape. Many run-off areas call for a variety of options for approach and recovery shots. Putting from off the green and "bump and run" shots will be a common practice. Mangrove forests border or cross 6 holes and a wonderful boardwalk to the back tees of hole 4 takes you on a 70-metre walk through the tidal forest and up close to the birds, crabs, mudskippers and other inhabitants of the forest. Lakes come into view or play on 17 holes, creating both play strategy and wonderful views.